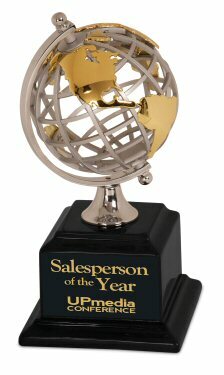 Executive award beautiful gold and silver earth globe figure on a nice black piano finish base. Free personalize on a black laser engraved plate making this award very special. Before shipping, a proof will be emailed for your approval.